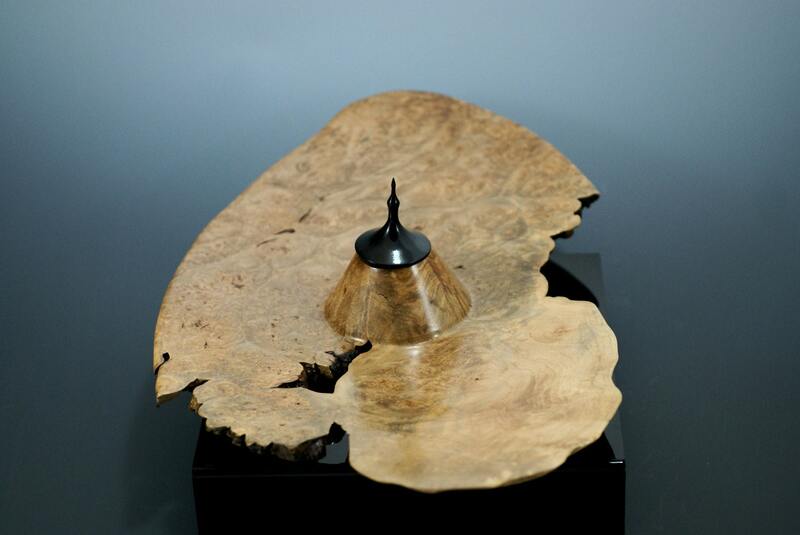 This hand made center piece is cut from Maple Burl as an addition to your home decor or your office decor. I wanted to leave a little surprise box in the center for your imagination. 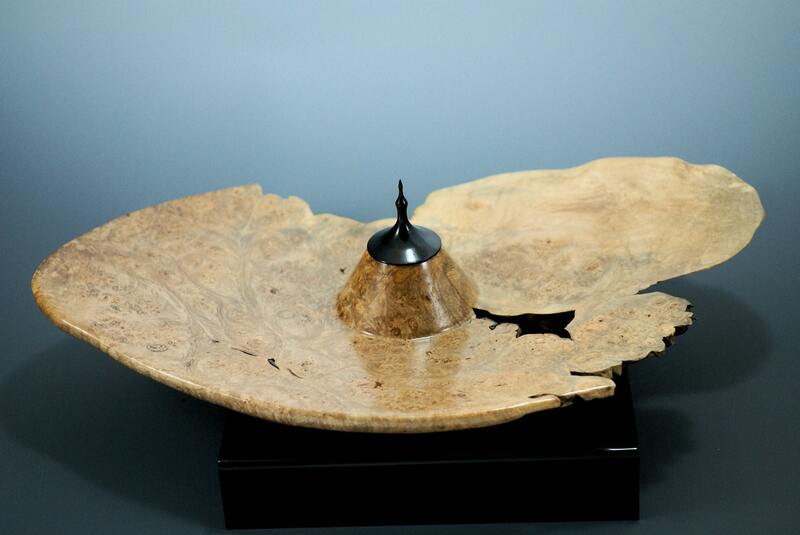 The lid is made out of African Blackwood, the same wood that clarinets are made from. 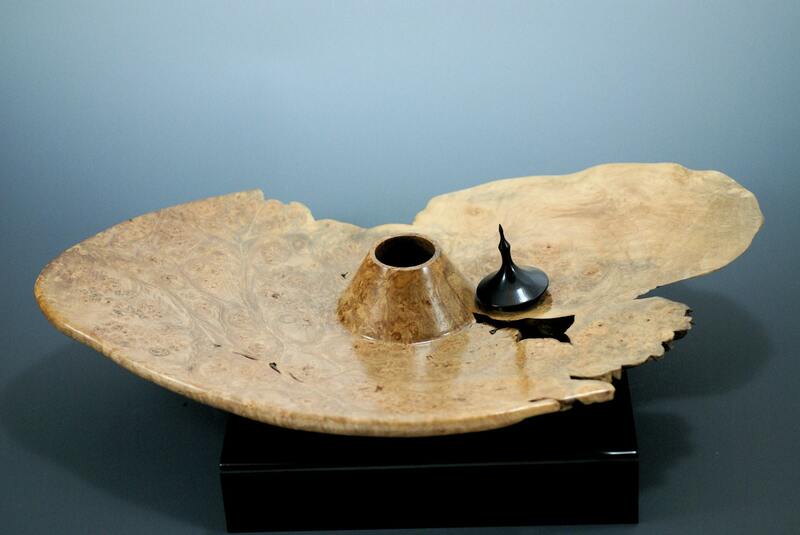 This piece is turned with a lift off or as others have commented a floating look. 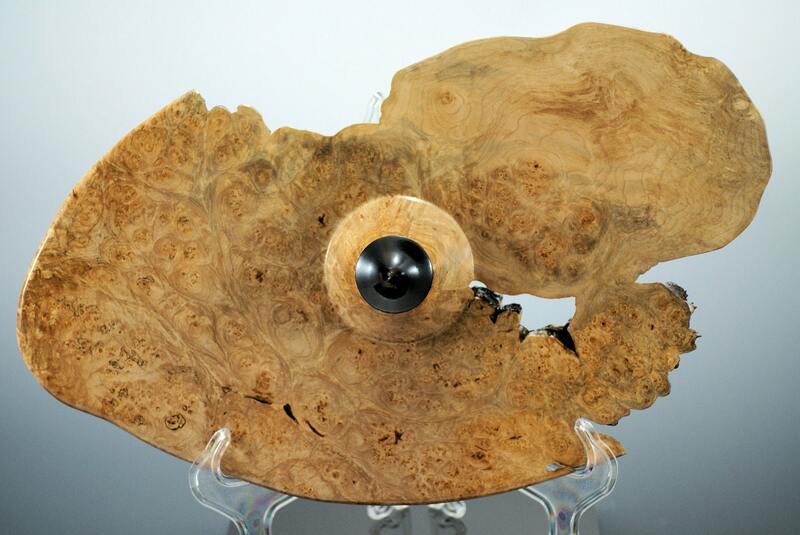 It was all turned by hand and sanded to 1500 grit and then oiled and waxed with walnut oil and carnuba wax. 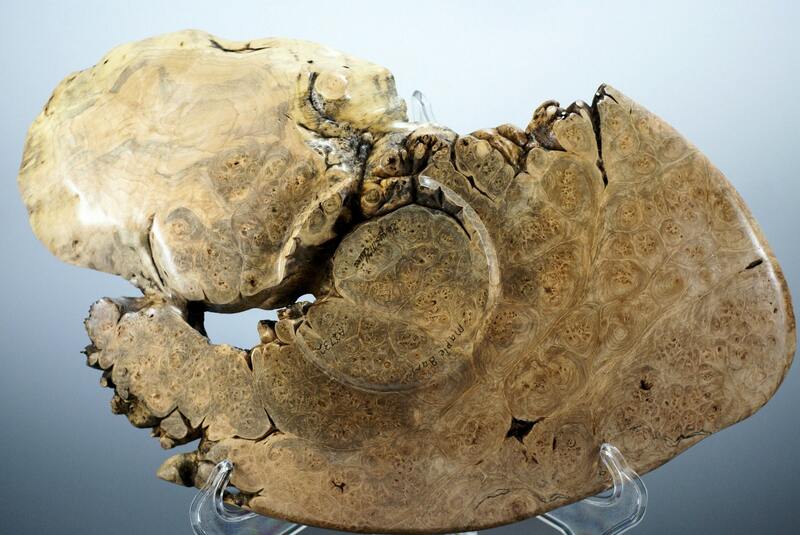 The piece is 17 1/2" (29.21 cm) long by 10 1/2" (26.67 cm) wide and about 3" (7.62 cm) tall. It weighs 1 lb 11.4 oz (777 grams).